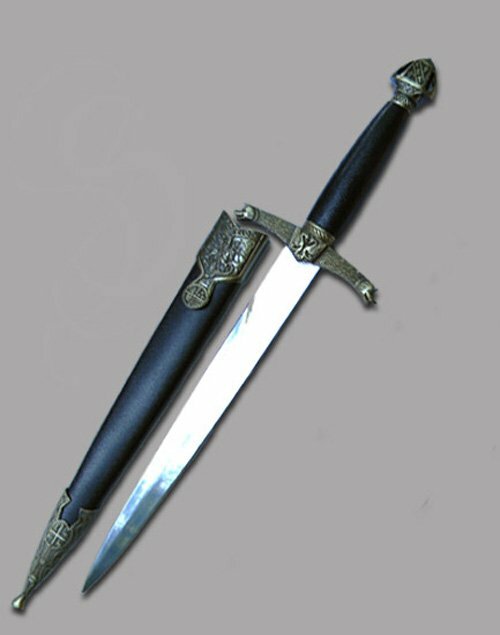 Lancelot Medieval Dagger. 14 1/2" overall. 9 5/8" unsharpened polished stainless blade. Sculpted cast metal handle, guard and pommel. Matching scabbard.